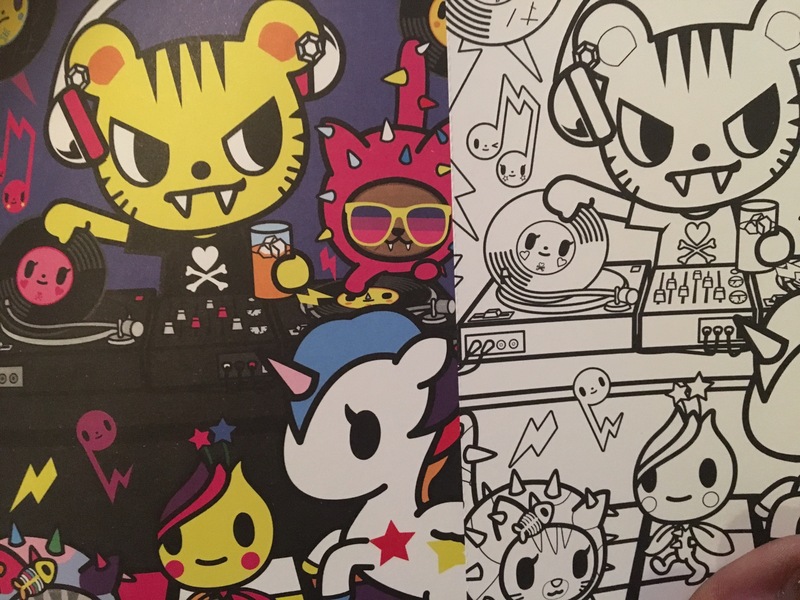 TOKIDOKI is a lifestyle brand founded in 2003 by designer Simone Lego. 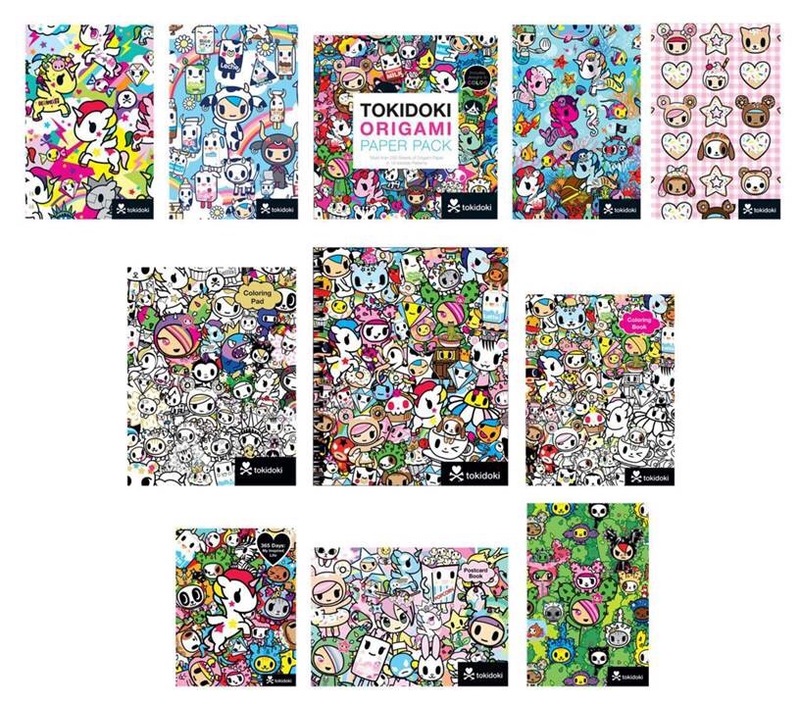 Todoki has achieved a cult status around the world and they have a range of designer stationary and gift books. GMC is the new distributor of these products in the UK. 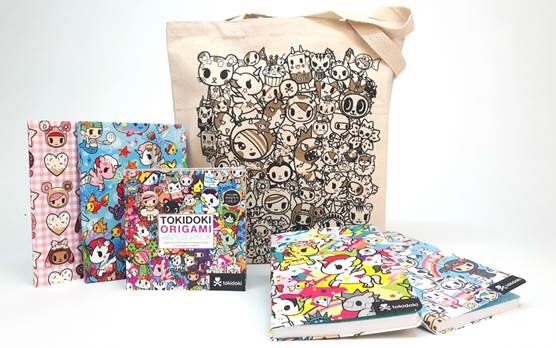 The products have a very Japanese Kawaii appeal to them even tho Todoki is headquartered in Los Angeles. Kawaii being lots of quirky cute fun characters assembled together and appearing on many products in Japan. The brand has collaborations with many high profile names including Marvel, hello kitty, new era, Fujitsu, x box and a fair few more. 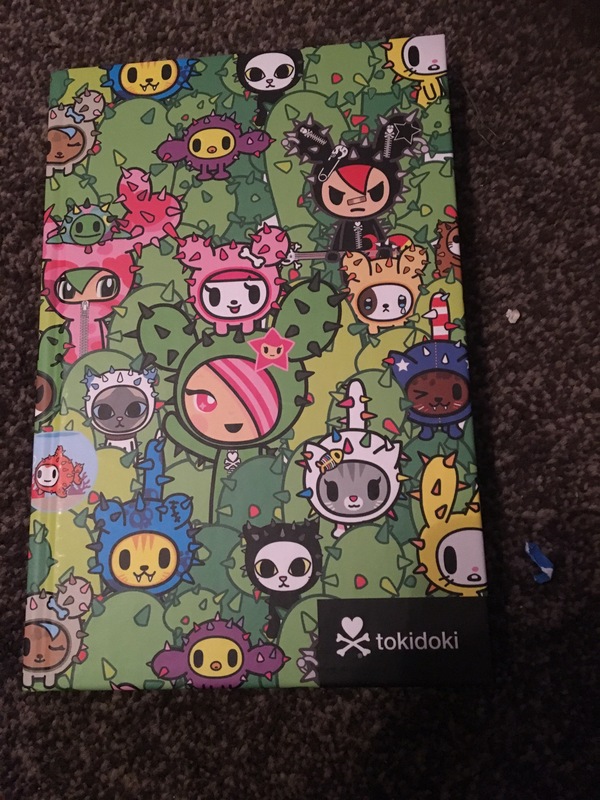 There are currently 11 Tokidoki products available through the GMC group which include colouring books and note book type products and we were sent a few of them which arrived in a Tokidoki book back as above. My girls really like the products because some of the many characters look very similar to toys they already have such as shopkins, my little pony, tsum tsums, Num noms and others. The notebooks will always come in useful. 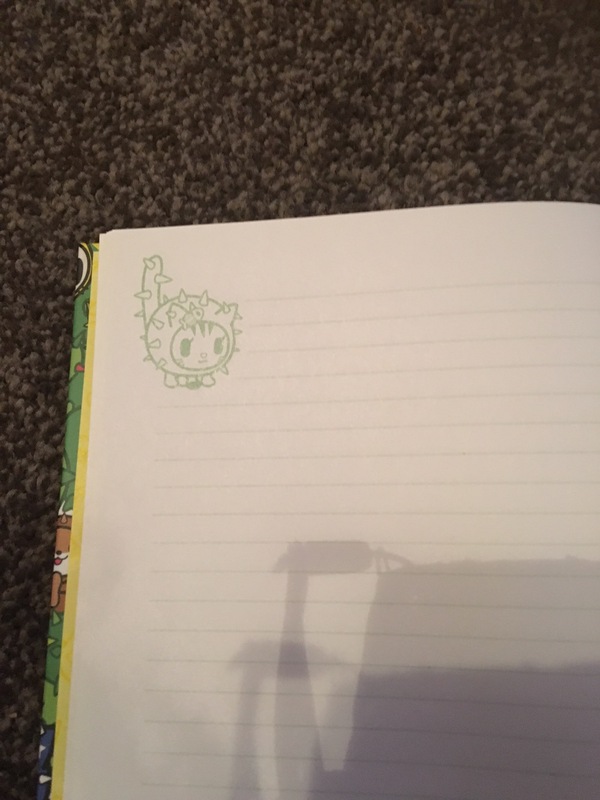 I even have one myself as my current one is running out of space and they are quite necessary for blogging. 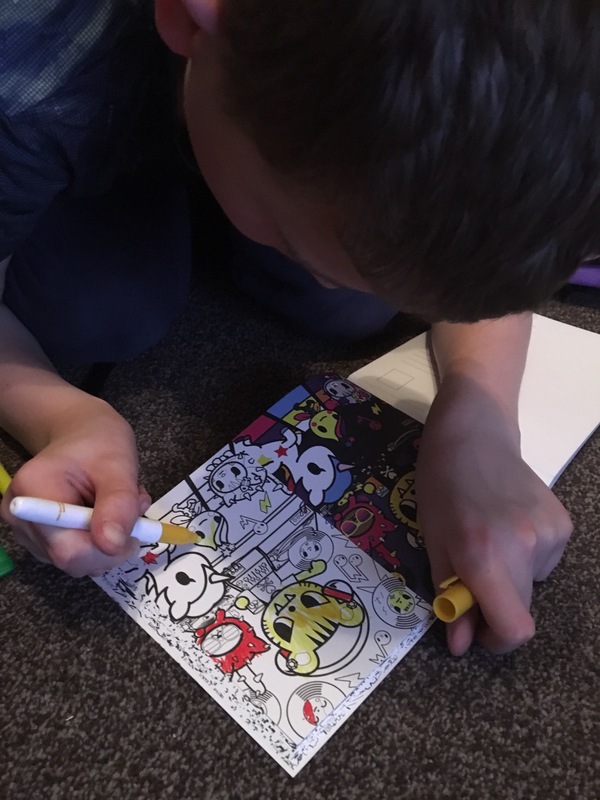 The colouring pads and books will certainly keep my kids busy as the pages have lots going on. One page is certainly a few hours worth but the end result will be quite pretty. 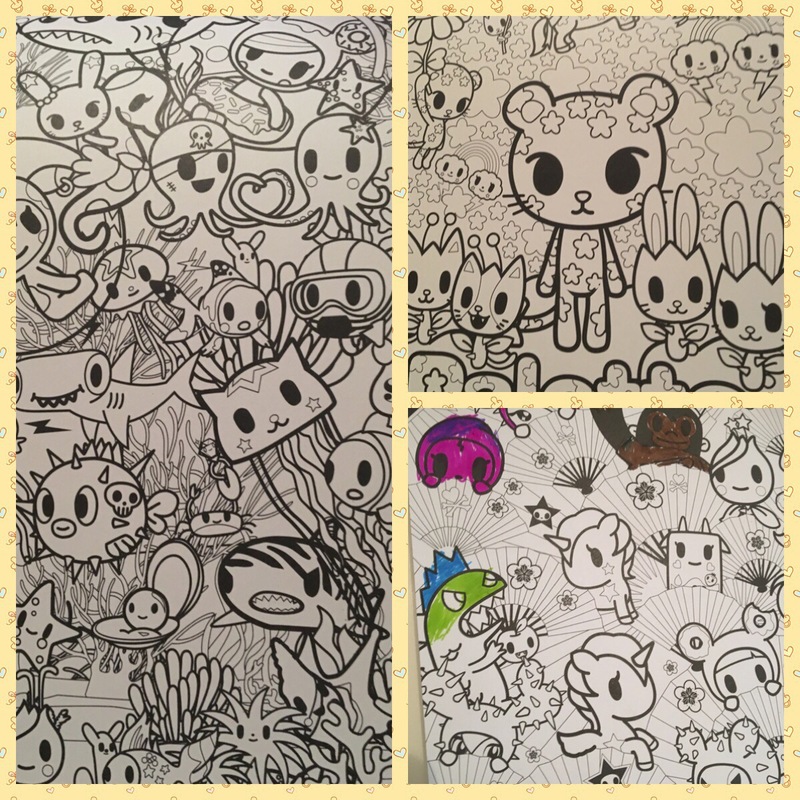 I don’t think they can be just limited to kids colouring books as I am sure many adults will enjoy colouring these books too. I believe things like this can help to reduce stress so I may just have to give them a go myself. We also got a postcard colouring book where each page contains two postcards of identical images. One side in colour and the other to colour ourselves. They can even be pulled out and posted too just like the real thing. These products are probably aimed more towards girls than boys but Ryan seems very happy to also do some Todoki colouring too. All Todoki items can be purchased directly from The GMC group and here is a price guide for each item.